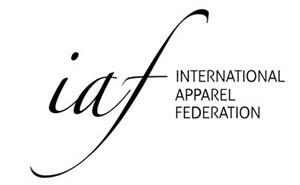 The International Apparel Federation (IAF) has secured a partnership agreement with World Textile Information Network Ltd (WTiN), delivering members major savings on subscriptions to WTiN’s comprehensive textile news and intelligence portal, wtin.com. WTiN will offer a discount of 23% on new subscriptions to IAF members and associate members. In addition, new subscribers introduced by the IAF will be entitled to a year’s free subscription to their choice of business-to-business magazine from WTiN’s highly respected portfolio. WTIN is the market-leading publisher of business and technical insights for the global textile industry. Its wtin.com portal is organised into a series of Insight channels, each focusing on a textile community such as Knitting & Weaving, Effects or Technical Textiles. Additionally, the portal delivers an expanding suite of deep market intelligence channels, currently comprising Textile Economics, Digital Textiles and Medical Textiles, with a new Performance Textiles channel launching in April. The magazine portfolio includes: Digital Textile, the world’s most important source of information for digital printers; Twist, for traders, processors and brands using natural fibres; and International Dyer, which has a heritage of almost 140 years, covering the full range of textile-finishing applications. Also among the magazine choice for subscribers will be the new IoTex, whose first edition will be published in April, exploring the implementation of Industry 4.0 concepts in the entire textile value chain, from fibre to retail. IoTex will be complemented by a new Textile 4.0 channel at wtin.com.